First row, left to right: Billy Reynolds, Louis Reynolds, Larry Reynolds, Pat Smith and Joe Mock. Second row: Bill Bailey, Gasper Trapani, Earl Smith, Fred Bullinger, Rococ DeGeorge and J. Duffy. Eddie Volpe, Mrs. May Bellone, owner of the Hitching Post, and Bill Reynolds, Coach. Many thanks to Fred Bullinger for sharing the images on this page with us. won in the neighborhood of 1,500 games and won 45 championships with 30 different teams. 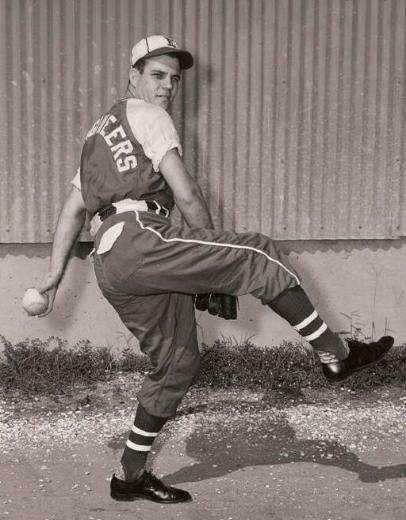 and overhand pitcher in the New Orleans area. He has always been a credit to the game. Latin-American Friends, 1969-1970, won the Delgado and St. Patrick Leagues. 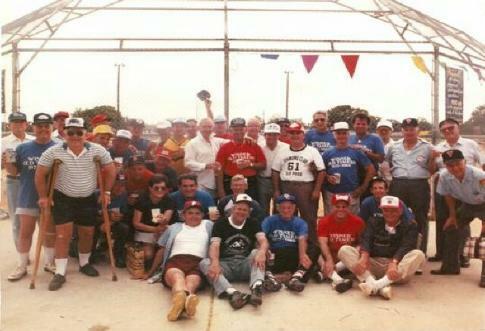 Pictured are, from left, front row: Arthur Meirer, Coach, James D. Bullinger, Lambert "Lamby"
Bullinger, Ray "Moon" Serpas, Willie Cruze, Joe Matranga, James "Pel" Hughes. Anthony Centanni and George Lee. years or older; they played once a year, with a party following the games. 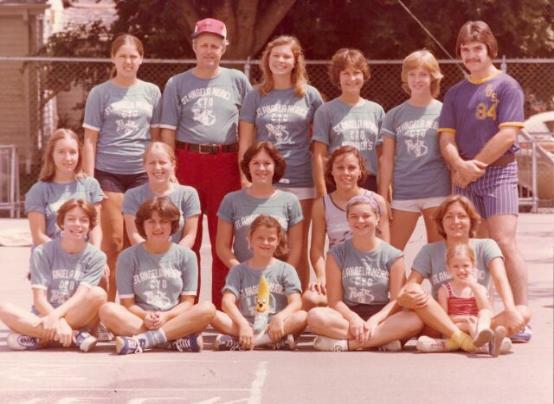 St. Angela's 1978 CYO Softball Team, runner-up in city tournament. Cyndi's holding Kelle Hood, younger sister to Robin and Linda Hood. Fred Bullinger, Bill Johnson and Jim Miller, 1972. Flair, Johnny Owen, Diz Granados, Elmo Rousseau, Umpire Clem Froeba, Larry Bettencourt. Paul Brown, Andy Gonczi, Fred Bullinger. To see stat sheet from the game, click here.